Top-wines are aging better in magnum bottles rather than in the traditional 0.75 litres bottle. 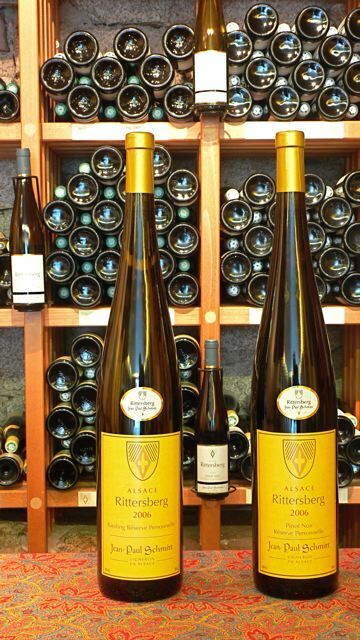 We are offering some of our best wines in a limited edition in 1.5 litres magnum bottles. On special request we can print the labes for these bottles according to your requirements: for a personnalized present or for a family reunion you may offer our best wines of Rittersberg with your own name on the label. Please contact us for further details. It will be our pleasure to design your label. The bottles are available within very short time. All magnum bottles come with an elegant giftbox. filled with bottles according to your request. it will be our pleasure to present you the different solutions during your next visit at our estate. 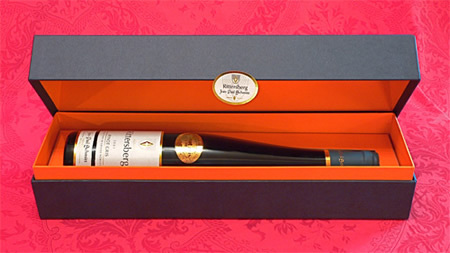 This gift box is as well available with a strong transport carton box to protect the valuable gift box and wine during transport. 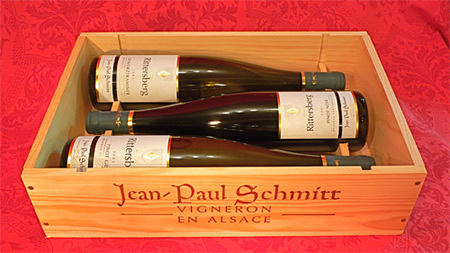 At estate Jean-Paul Schmitt you will certainly find a suitable present for your friends!